Robbin Hallford went from unable to stand to increasing the number of yoga classes she teaches thanks to the miracle of 360 fusion. Baby Boomer Robbin Hallford is a teacher and yoga instructor who can proudly state she is more active now than in her 20’s thanks to the miracle of modern surgery. Hallford, a 48-year old mother of three, underwent a 360 fusion around her L4 and L5 vertebrae in March of 2011. Since that time, she has proven daily that she can stay active and continue teaching yoga. In fact, she is planning to increase the number of classes she is teaching this summer, only a year after surgery. Surgery was not Hallford’s first choice. After several days of pain and the inability to move her left leg, she attempted to manage the pain with chiropractic treatments. It was during these treatments that x-rays showed the lumbar area to be foggy. The chiropractor suggested an MRI, which Hallford took to a physician who recommended Dr. Michael Duffy of the Texas Back Institute. “Dr. Duffy made every effort to help me control the pain, including steroid shots, pain control and anti-inflammatory drugs. Unfortunately, I had reactions to the medications, particularly the anti-inflammatory,” said Hallford. Hallford collapsed in her class, which was the final straw. 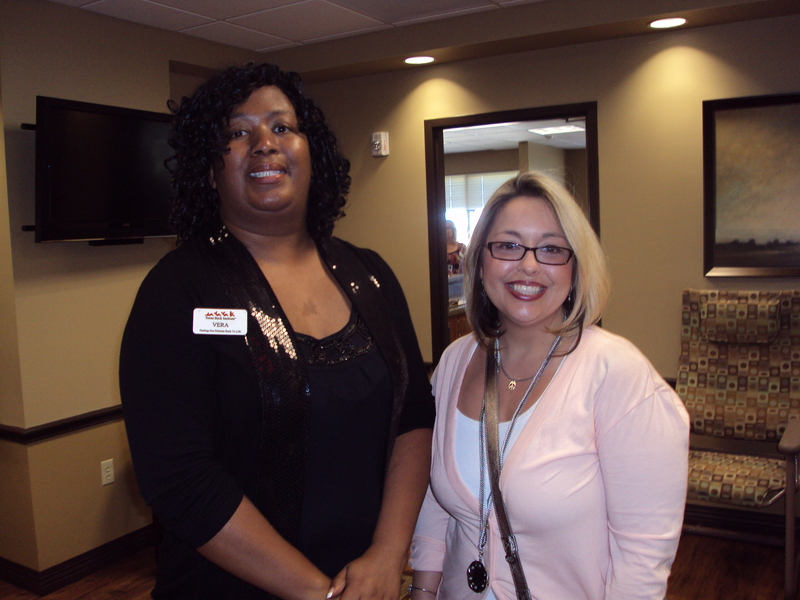 She decided to move forward with back surgery at Texas Back Institute. Dr. Duffy assembled a team of experts to ensure that Hallford’s surgery went smoothly. In March of 2011, they performed a 360 fusion on L4 and L5, giving Hallford much needed relief. Hallford’sbackground is in physical therapy and kinesiology, so she was well aware of the effort it would take to recover from surgery. Like many baby boomers, Hallford wants to continue an active life on her own terms and not let injuries or aging slow her down. “My 48 does not look like my mother’s 48 or my grandmother’s. I do more now than I did when I was 20 years old. I’m stronger now. The surgery helped me to be able to keep that,” said Hallford. Hallford is not a proponent of choosing surgery first. In fact, she chose to use her own knowledge and skills in yoga to postpone surgery as long as possible. In the end, it was the miracle of back surgery that gave her the life she wanted. 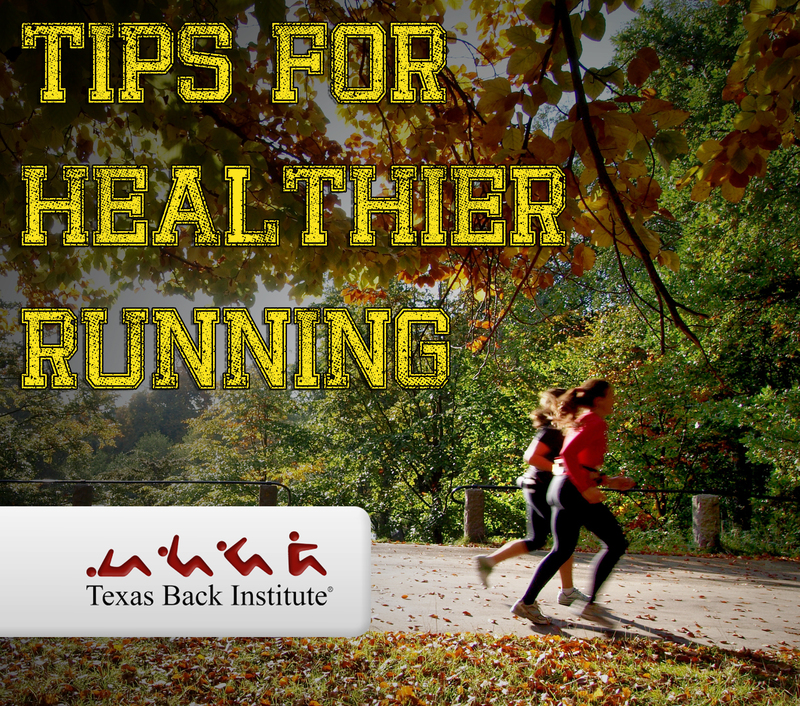 Read these tips from Dr. Duffy before the next time you go for a run! The Olympics are going to be here before we know it. If you’re anything like some of the Texas Back Institute doctors and staff, you may find yourself motivated to push a little harder towards your personal fitness goals. If this is you, congratulations! Setting personal fitness goals is essential in making sure you don’t get bored with your workouts and it helps keep you on your toes. Dr. Michael Duffy is an orthopedic spine surgeon here at Texas Back Institute and running is something he loves to do. In honor of the Olympics we have asked Dr. Duffy to share some of his running tips with our readers. First things first…STRETCH! This can not be stressed enough. Stretching before you start your run is crucial. The last thing you want to do is pull a muscle just as you are getting close to reaching your fitness goals. Just take 5 minutes to stretch your legs, shoulders and arms. You can even do this while you are getting your iPod playlist ready to go. Second, if you are running and you start to experience pain (unrelated to normal muscle fatigue) try icing the painful area and taking NSAIDs (Non steroidal anti-inflammatory drugs). If your pain does not subside, take a look at your footwear. If you don’t have the right running shoes they may be causing imbalance thereby placing stress on your knees, hips and back. Most running stores can help fit you for shoes – you just have to ask. If all of this fails, consult your physician for further testing. 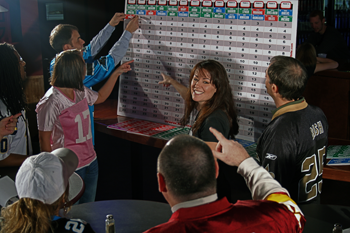 Third, and this time we saved the best for last, HYDRATE – HYDRATE – HYDRATE. It’s so hot out this time of year, especially in Texas, hydration can happen before you know it. Make sure to drink lots of water before, during and after you run! Even the Olympians have to hydrate. Just getting into a running routine? Share with us what motivates you! Remember, when starting any new exercise program it’s important to consult with your physician to make sure you are healthy enough to do so. Pace yourself – most runner injuries are results of doing too much too soon. 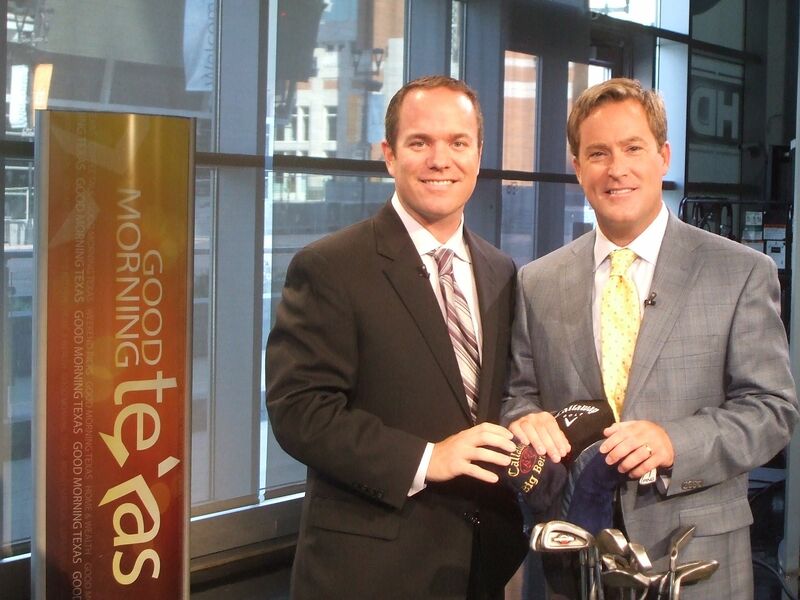 Dr. Michael Duffy, our orthopedic spine surgeon in Mansfield, took some time out of his practice on Tuesday to talk with Chris Flanagan from Good Morning Texas about how to avoid injuring your back pain when golf. 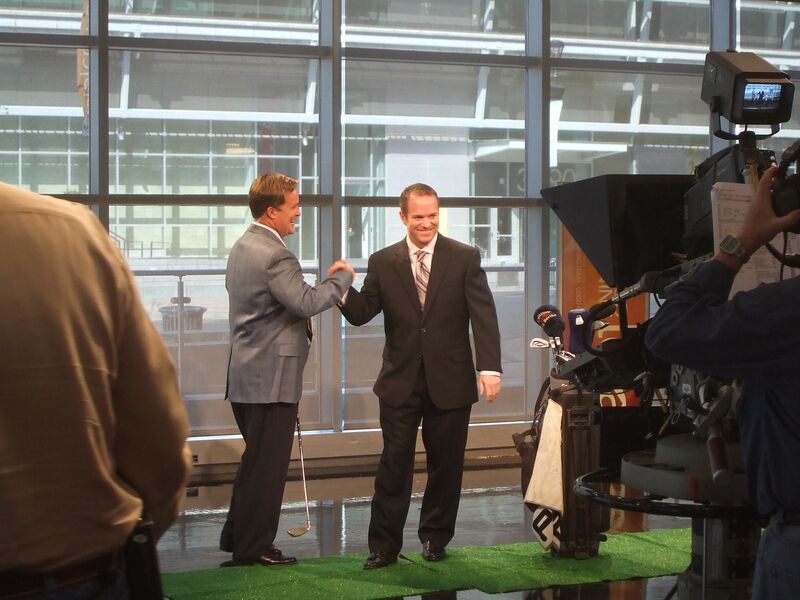 Dr. Duffy actually played golf in college so this type of segment was right up his alley! Dr. Duffy and Chris Flanagan. Dr. Duffy and Chris having a good time! Thanks so much to Mansfield Methodist for inviting us on the show. 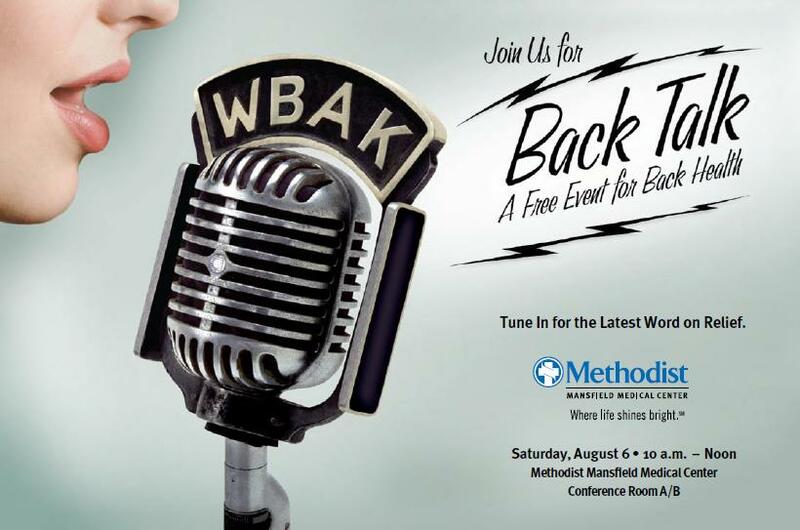 If you have questions about back/neck pain, please come out to the BACK TALK event Saturday August 6th at 10am. 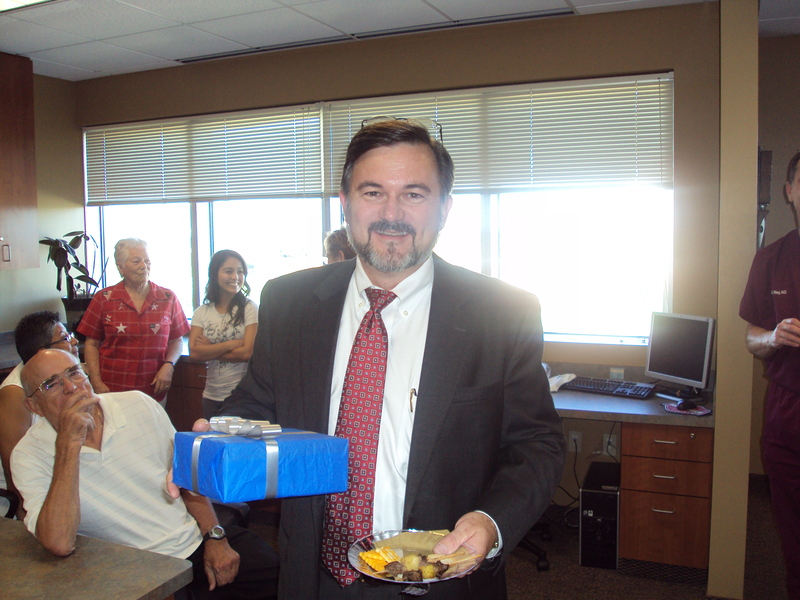 August marked the one year anniversary for our Mansfield office. We had been trying to come up with a way to thank all the people who helped make our first year successful so we decided to have an anniversary party! We held the party last night and it was awesome! 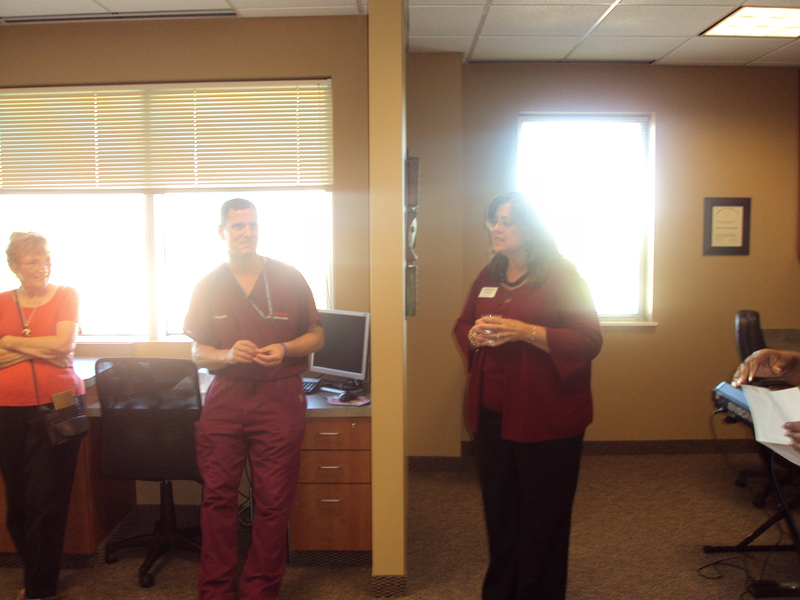 Some of Dr. Duffy’s patients attended as well as referring physicians and their office staff. Check out the pictures! We had a great time! We started off with a few words from the TBI leaders. Dr. Hisey, Mr. President & Trish, CEO or as Dr. Hisey said, the woman who does it all. 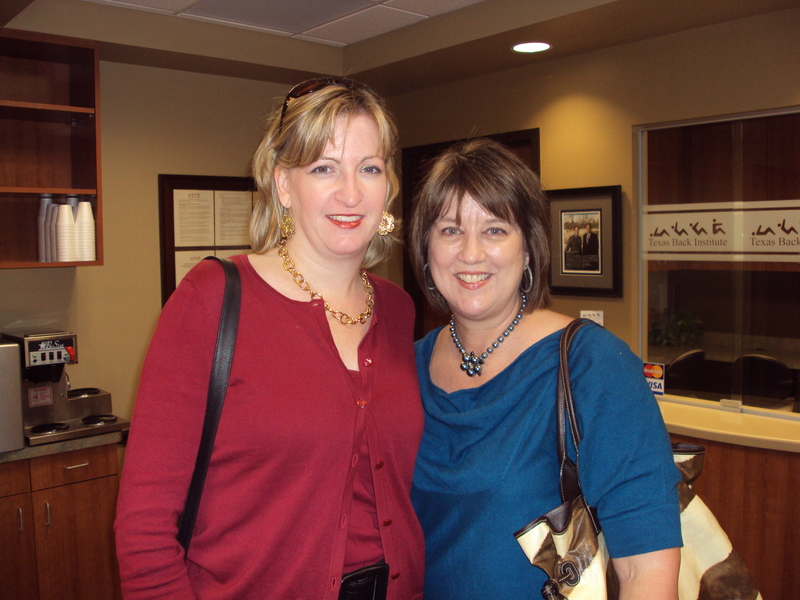 Stephanie Boston, our HR director and Lise McConnell, our director of finance. 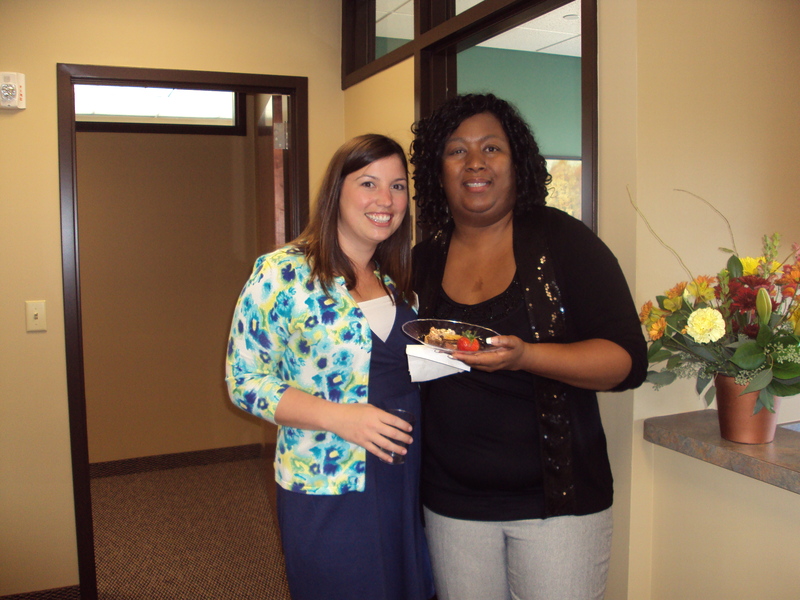 Jaclyn McDaniel our sales and marketing coordinator and Vera Johnson, our office manager. 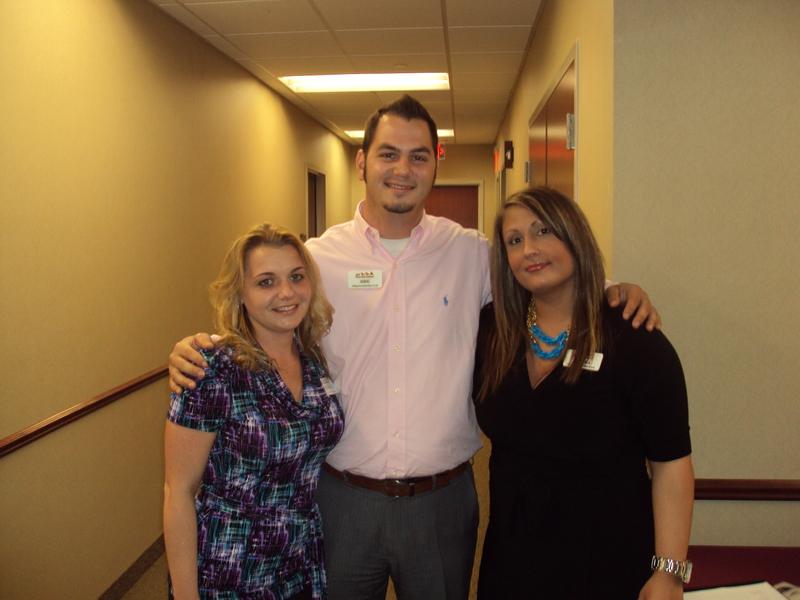 Candace Nelson, Dr. Duffy’s assistant with Jeric Hopkins and Sandra Perez, two members of the sales team. Thanks to everyone who helped, participated and made this a great event!